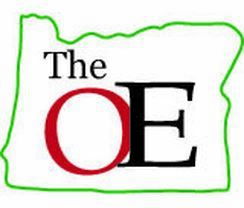 The Oregon Encyclopedia Project is a collaborative endeavor of OCTE, Portland State University, and the Oregon Historical Society which has produced an amazing resource for teachers, students, and lovers of Oregon. If you don't find an article about a piece of Oregon history and culture that is important, propose a topic and submit it here. The Oregon Council of Teachers of English, Portland State University and the Oregon Historical Society's "The Oregon Encyclopedia" received a Leadership in History award from the AASLH in 2011. "The Leadership in History Awards is the American Association for State and Local History's (AASLH) highest distinction and the winners represent the best in the field," said Terry Davis, AASLH President & CEO. "This year, we are pleased to distinguish each recipient's commitment and innovation to the interpretation of history, as well as their leadership for the future of state and local history." AASLH conferred fifty-nine national awards honoring people, projects, exhibits, books, and organizations. Recipients received their awards at a special banquet during the 2011 AASLH Annual Meeting in Richmond, Virginia, on Friday, September 16. 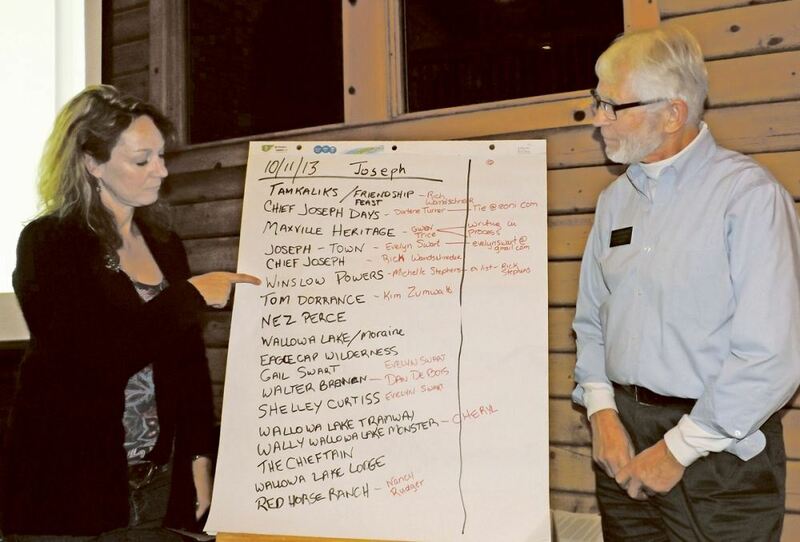 Cheryl Coughlan, pictured on right, executive director of the Josephy Center in Joseph, points to a topic suggested for the online Oregon Encyclopedia, while Ulrich Hardt, one of the three editors-in chief, looks on during a meeting held at the Josephy Center to add to Wallowa County topics and writers for the encyclopedia. Local people can sign up to write on a topic for the project (or suggest topics) by going to the website.